The indications are very strong that we shall move in a few days — perhaps tomorrow. Lest I should not be able to write you again, I feel impelled to write lines that may fall under your eye when I shall be no more…..I cannot describe to you my feelings on this calm summer night, when two thousand men are sleeping around me, many of them enjoying the last, perhaps, before that of death — and I, suspicious that Death is creeping behind me with his fatal dart, am communing with God, my country, and thee. Sarah, my love for you is deathless, it seems to bind me to you with mighty cables that nothing but Omnipotence could break; and yet my love of Country comes over me like a strong wind and bears me irresistibly on with all these chains to the battlefield…..My dear Sarah, never forget how much I love you, and when my last breath escapes me on the battlefield, it will whisper your name…. If the dead can come back to this earth and flit unseen around those they loved, I shall always be near you; in the garish day and in the darkest night — amidst your happiest scenes and gloomiest hours — always, always; and if there be a soft breeze upon your cheek, it shall be my breath; or the cool air fans your throbbing temple, it shall be my spirit passing by. I remember distinctly the sadness I felt the first time I heard Sullivan Ballou’s haunting letter to his wife at the conclusion of the first night of Ken Burn’s Civil War documentary. I recall being stunned by its prophetic eloquence and its resigned acceptance of the inevitable price a young family must pay to the cause of the Union. It was a love letter and an epitaph. John Donne once said to a critic, “Sir, more than kisses, letters mingle souls “. In our age of instant messaging, acronyms, emails and social shortcuts, the handwritten letter has become an anachronism. I find myself lamenting the passage of a time where people put pen to paper and developed their abilities to paint a picture of feelings, experiences and beliefs. I think about the grueling ritual my parents subjected me to writing thank you letters as a young man. I can recall the gift of stationary with my initials on birthdays and holidays and using those cards to write letters to my grandparents and friends. There was nothing like the feeling of your heart skipping when you looked into the mailbox and saw a letter addressed to you. My grandfather kept boxes of letters he had written and sent to my grandmother during the early 20th century. Each note was a stitch in our family’s personal patchwork quilt. His feelings, experiences and thoughts offered us a wonderfully rich picture of a second generation German immigrant runaway who lied about his age to join the navy at 16, only to meet and fall in love while on leave with a quiet Irish girl working in her grandmother’s boarding house in San Francisco. Not everyone is meant to handwrite a letter. My younger brother, Patrick, has the handwriting of an emergency room doctor. I could probably take any of his cryptic notes scribblings down to CVS and get an antibiotic prescription filled. 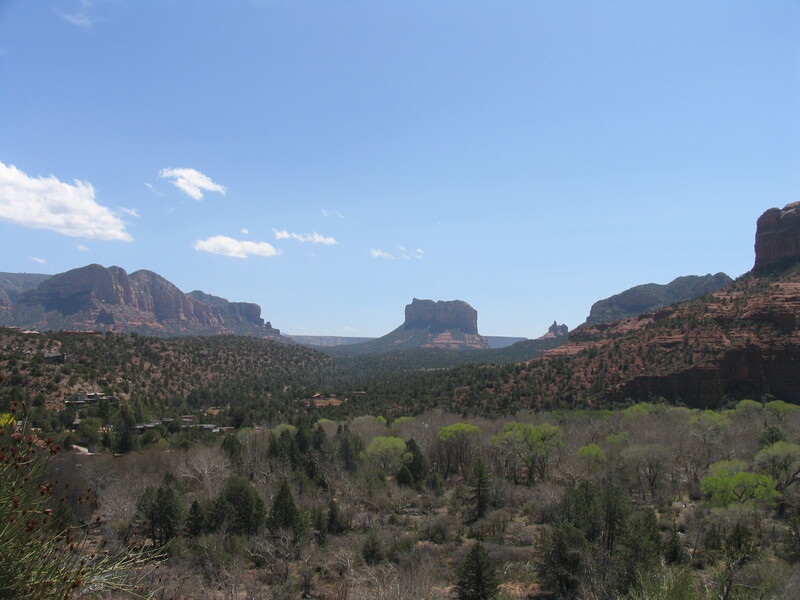 Gramps, on the other hand, was an avid writer and would forward rambling, animated letters chronicling his adventures living among the red rocks and desert wilderness of Sedona, Arizona. Each letter was devoured by lamp light and served as my transport from Southern California’s suburbs to the ancient, blood red sunsets of the Grand Canyon and the collage of autumn colors in Oak Creek canyon. My love for the outdoors was shaped and molded with each envelope and every mental picture of silent sidewinders, deadly Gila monsters, elusive roadrunners, towering saguaro cactus, sudden snow storms, and brilliant sunrises in the wispy shape of a rising Phoenix. The lost art of letter writing seems to me a symptom of greater erosion in our society – – of intellect, imagination and generosity. In a generation that is fueled by caffeine, immediate gratification and instantaneous communication, there does not seem to be much patience or interest anymore in the handwritten letter. When time is in fact our most precious commodity, it seems to me that the act of writing a letter is the ultimate gesture of a person willing to eschew modern conveniences for the sake of the intimacy and personal significance that a letter often symbolizes. Earlier last year, I interviewed two candidates for a senior position. After meeting with each person, the first interviewee sent me an immediate email – – thanking me for my time and assuring me that if he were selected, he would exceed my expectations. Not bad. He was quick, focused and contemporary. The other candidate? She sent me a handwritten note on personal stationary. It arrived three days later. It was equally well written and reiterated the key reasons why she could serve my firm well. The two prospective employees were equal on every level except one. I chose the lady who took the time to handwrite me a thank you note and as Robert Frost once wrote, “That (has) made all the difference.